Do More! Live More! Be More! With TaskRabbit! I’m pleased to announce that I am the new L.A. Spokesperson for TaskRabbit! 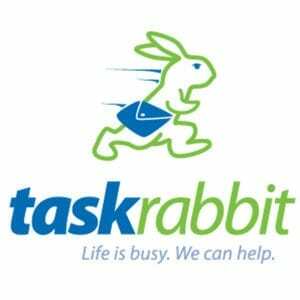 So some of you might be wondering, “What is TaskRabbit?” TaskRabbit is a friendly and reliable online community of people who can help you with just about any task you need done. The mission of TaskRabbit is to get you some free time back into your life! I’m sure many of you are now wondering about how it works? Well basically you just join TaskRabbit, it’s completely free to join, and then you post the task that you need done. It’s very simple and user friendly. Finally you name your price of what you are willing to pay your TaskRabbit. You also include the time frame in which you need the task to be completed by. Once you post your task it blasts out in real time to the TaskRabbit online community. The TaskRabbits who are interested in doing this task for you, will then put in their bids to you to try and win that task. You then choose which TaskRabbit you want to get your job done. Cool huh?! It’s almost like having your own personal assistant, but way more affordable! Naturally, you must be thinking by now, who are these people called, “TaskRabbits” and are they safe? My answer to that is Yes. Every TaskRabbit goes through a vetting process which includes a multiple step application, which even includes an essay, a federal criminal background check, and a video interview. TaskRabbit’s main concern is the safety of their online community. They want to ensure that you can Do More! Live More! Be More! Well now that you know all you need to know about TaskRabbit, what would you promise yourself to do if you had that valuable extra time on your hands to do it? In my case, I’m a work-at-home mom who constantly struggles with balancing my family time with my business life. I’m sure many of you out there can relate to this. I have a 2 in-a-half year old daughter who is not in daycare, she is home with me, but at the same time I’m also an entrepreneur and a TV host and so I work too. Between going to classes with my daughter, taking her out on outings and play dates, as well as having her with me for the majority of errands that I run, the only time I really get to work is at night, can you say, “Sleep Deprivation! ?” Seriously, I go to sleep usually at 2am after I’ve been chasing a toddler all day long-EXHAUSTING! This is why I am excited to use TaskRabbit, I’m going to take back my time so that I can Do More! Live More! Be More! I promise myself to not have to run so many errands with my daughter during the day, but instead do more fun things with her. I promise to use her nap times as an opportunity for me to take a nap too, something I NEVER do, so that I can catch up on those much needed Zzz’s. And if for some reason I can’t fall asleep for that nap, then I promise to work on my business endeavors, while she naps, instead of taking care of tasks around the house, so then at least I can go to bed earlier at night. Let’s face it, a rested mommy makes a better mommy! I already have so many tasks in my mind that I’m ready to give up to TaskRabbit: Grocery Shopping (CHECK MARK), folding laundry (CHECK MARK-not our personal laundry though-lol), clean house (CHECK MARK), wash our car (CHECK MARK), oh my task list can go on and on! So I ask you again, what promise would you make to yourself if you had more time? Join the Do More! Live More! Be More! campaign and make your promise HERE! Check out my promise video on TaskRabbit’s You Tube Channel! And follow my TaskRabbit experiences here on Mommyhood to Hollywood!